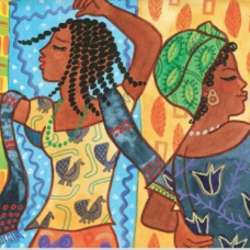 💃 Come and dance or listen to African music this afternoon! The Saraba association offers you an initiatory trip to Dakar (Senegal) and Cape Town (South Africa). You will discover the throbbing rhythms of kizomba, the enchanting drums of yoruba as well as the wild sounds of rumba. At each stage of this journey you will learn the basics of these different dances. Métro Station: Denfert-Rochereau, on lines 4 & 6 and RER B (or RER Port Royal).